was prophesied in the Bible! For example, exactly seven-years after 1948 (and thus exactly 1260 years times-two plus 1260 days times-two after the measuring of the temple in Ezekiel 40) was 480 x 7 years after they entered the promised land in 1406 BC, Nisan 10. Que. But what happened during this seven years between when Israel became a nation in 1948 until 1955? Ans. It is not what happened, but what could have happened. It could have been the seven years of Ezekiel 38 that we have already spoken of. If God had allowed the Russian invasion to have occurred the day Israel became a nation then that seven-year period would have terminated Nisan 10 or Pentecost 1955. Remember, it is miraculous that the Arabs did not defeat during that war that erupted Pentecost 1948, the day Israel became a nation. But all the prophecies were not quite aligned so here we are again experiencing another delay until the end of the age until when Jesus returns as King of kings and Lord of lords. But we can look at what was almost and observe the time frame that almost was and better understand what will yet be in our future. Ezekiel received his call on "the 4th month, the 5th day", in 593 BC (Ezek. 1). At this time he was told to lay on his side 390 days "to bear the sins of the house of Israel", "a day for each year of their sin". This was 20 years before his temple vision in 573 BC. Therefore, from 573 BC to AD 1948 are 1260 + 1260 years, but from 593 BC to AD 1948 are 1270 + 1270 years, (or 1270 + 1269 from 592, that is, from the end of Ezekiel's symbolic siege. Seven years can span either one). It happens that a seven-year period using the regular Jewish calendar spans just this, 1270 + 1270 days. (On some occasions it spans 29 more days.) Thus, 1270 + 1270 days represents the same in years, as God said to Ezekiel, "A day for each year of their sin". But what is most remarkable is that Israel became a nation, as said, on Pentecost (on the 360 calendar), that is, the 3rd month, the 5th day. It just so happens that the 360 calendar has a 30-day variance, so that May 14th ending, 1948 (when Israel became a nation) is also the "4th month, the 5th day." (See 360 calendar website for the table listing the New Years on the 360 calendar, and the note about the 30-day variance.) This is the anniversary of the very same day that Ezekiel received his calling "in the 30th year of his life", (Ezek. 1:1-2). In other words, from the exact day that Ezekiel received his calling concerning the coming fall of Jerusalem 1270 + 1269 days later, until Israel became a nation, are exactly that in years, 1270 + 1269 years --- to the very day!!! For more information, please compare all this with the documents that concern the seven years of Ezekiel's sieges. It will explain the rest. (Also see above right chart). Keep in mind that what holds true in that document (and in the chart) using the 360-day year (so that seven years spans 1260 + 1290 days, etc. ), is still true except using the literal number of days, which was 1270 + 1269 days -- that uses the actual Jewish calendar, not the 360 prophetic calendar. God uses both calendars as double witness to his sovereignty. Que. Are there further time frames involved with this prophecy? Exodus 12:1-2 And Jehovah spake unto Moses and Aaron in the land of Egypt, saying, This month shall be unto you the beginning of months: it shall be the first month of the year to you. 1446 BC Nisan 1st represents symbolic AD1, Nisan 10th thus equals symbolic AD 10, etc. Pentecost in AD 1955 is the 65th day of the year and thus represents the symbolic date of AD 65 (as it did in 1446 BC). Thus, since Israel became a nation 1260 day + 1260 days earlier thus to compute what is the symbolic date for when Israel became a nation we simply subtract 1260 days times-two (called 'day-years in this case). However, things are not quite so simple (but are more glorious!). First, a quick review of a 40-year cycle and how its leap months are inserted. Thus, the 6th cycle of 6 years is followed by a 7th cycle only 4 years long---for a total of 40 years, (a "generation" in the bible). (6 x 6 = 36 years, + 4 years = 40 years.) The effect is to place emphasis upon the 6th and 7th cycle since the 6th cycle of 6 years precedes the special seventh cycle of only 4 years, which in turn concludes the 40-year cycle. Thus we must subtract 1290 + 1290 days from the symbolic AD 65 (which is literal Pentecost, AD 1955). AD 65 less 1290 + 1290 days (seven years) = 2516 BC on literal May 15, 1948. It is interesting that AD 10 of literal Nisan 10, 1955 is as AD 10, and if that figure is put back just the 1260 days times-two as per the missing leap months spoken of earlier than we arrive at 2511 BC. This brings the 2516 and 2511 together thus joining the Pentecost with Nisan 10 in yet one more way! But I do not want to complicate things more than they already are so we will stick with years that have been adjusted by leap months as explained at www.360calendar.com. So what does 2516 BC signify? 2516 BC is 1260-times-two days/years to AD 5. Thus there are 1260 years times-two plus 1260-times-two days/years to AD 5, which is the mirror of the birth of Christ. This agrees with Revelation 12 which also connect the 1260 days with the birth of Christ. Rev 12:6 The woman fled to the desert, to a place God had prepared for her, where she will be taken care of for 1260 days. Ezekiel says that at the beginning of this seven-years from Russian and her hoards are defeated that there are "seven months" spent burying the dead. Seven months is 210 days. Hence, 2516 BC (the Russian war) plus 210 days equals 2306 BC to complete the burying of the dead. And 2306 BC is 2300 day/years to 6 BC, the conception of Christ! Now, 2300 means same thing as 1260 days times-two or 1290 + 1290 days, that is, a time of desolation. The time frame of 2300 days can be found in the book of Daniel 8, and parallels the 1290 of Daniel 12 in meaning. Thus, both the conception and birth of Christ are being emphasized here. For example, 2306 BC plus 430 years = 1876 BC (when they entered Egypt 430 years), thus another 430 years = 1446 BC (the exodus). Then another 430 + 430 years more equals 586 BC, which is the fall of Jerusalem by Babylon and exile into the nations. The 210 days between 2516 and 2306 BC is essentially dividing the 430 in half, which is what occurs in real time. For example, 2516 BC plus 430 + 215 = 1871 BC, which is the end of the seven-years of Joseph's famine, and five years after Israel entered Egypt. 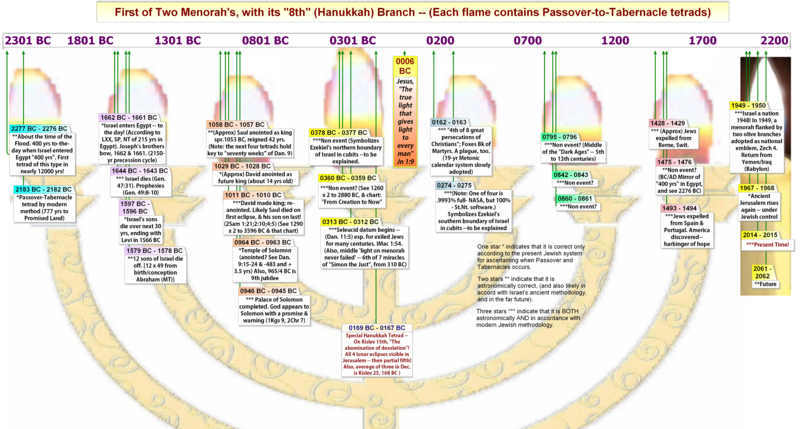 Thus, the seven-years of symbolic dates here is pointing to the birth of Christ as its conclusion, which agrees with the 1260 of Revelation 12, which agrees with 'the measuring of the temple' as per Ezekiel 40 and Rev. 11, since Christ's birth is compared to God "tabernacling among us" and His body as being "the Temple." It also speaks of a new creation and a new age (i.e., a new birth) which shall come about at the end of the seven years of Ezekiel 38. These dates, especially symbolic date 2516 BC, will tie into other events both past and future, and will take on new patterns no doubt when the Russian invasion finally comes, or some other event like the rebuilding of the temple that antichrist will sit himself in. Here is another interesting feature of this date, 2516 BC. It is also 490 x 8 to AD 1405 (1406 BC is the entry into Egypt, and start of the jubilee cycles). It may have bearing in AD 2026 since AD 2026 plus 490 years is AD 2516, the mirror of 2516 BC. There is another pattern that shows how all these things come together, but it is hard to explain now. Also see, "Abraham was born 1948 years after Adam,"
and Israel was born as a nation in AD 1948. A coincidence? "When did Israel become a nation?"